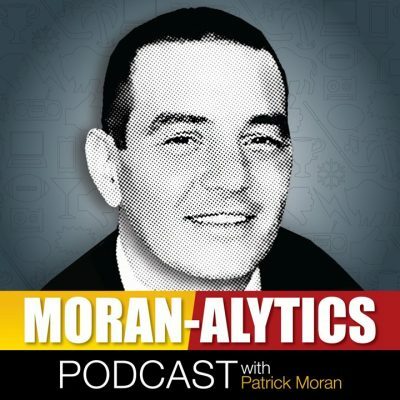 On this episode of the Moran-Alytics Podcast, Patrick Moran interviews NESN Boston sports reporter and host Courtney Cox about her life and career. Cox talks about growing up in Lowell, Massachusetts and eventually going to Boston College, where she was not only a member of the cheerleading team but a captain by her junior year. She would give it up for her season to start focusing on making sports journalism her career and it’s clearly a decision that paid off. After stints honing her craft in Charlotte, North Carolina at the ACC Digital Network and the LAX Sports Network back closer to home, Cox landed her job at NESN in Boston during the summer of 2016 and she discusses how each opportunity came about. Cox also has several takes on the sports media, reveals how she deals with occasional idiots that troll her on Twitter and offers sound advice for aspiring sports journalists. We also learn among other things that Cox loves Nashville, knows how to deal with dates from people that just wish to talk sports, wants to have dinner with Tyrion from Game of Thrones and isn’t bothered with name comparisons to the Courtney Cox that played Monica on Friends. You can follow Courtney on Twitter at @CoxCourtney and be sure to check out her work at NESN.com. After the Cox interview Moran does an AMA (Ask Me Anything) segment where fans of the podcast were asked to submit sports and pop culture questions to be answered. Among the topics Moran hits on are his favorite current and past Buffalo sports reporters, the biggest go-to song to get a party started, three things Kim Pegula should do with the Buffalo Sabres this summer and why so many who leave Buffalo for greener pastures end up missing it.